LiveChat support reduces average support time from hours to minutes. LEAP, the world’s leading cloud software provider for small law firms, has recently transformed its UK customer service model, moving from an inbound helpdesk telephone system to a LiveChat system, now over 80% of support enquiries are now resolved within 20 minutes. With the LiveChat system all ten of the LEAP support team say they have resolved an issue with online chat within one minute. How many phone-based teams can claim that? LEAP’s support team is UK-based, currently comprises of ten members, with three more to be added because of sales growth before the end of 2016. LEAP is the cloud legal software solution for small law firms wishing to become more efficient, more flexible and profitable. It allows everyone in a small law firm to work naturally using a single integrated system that enables them to do more work with the same number of people. The smartphone app allows lawyers to work whilst on the move, and includes innovative features such as time recording mobile phone calls directly into a matter. LEAP is a global company, originating in Australia where it is the dominant provider of legal software for small law firms. 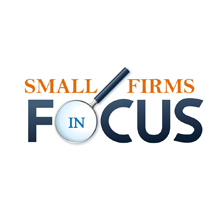 The firm is the largest privately owned small law firm software provider in the world and there are more than 6,000 firms using LEAP software. In the UK LEAP has offices in London, Manchester, Belfast, Bridgend and Edinburgh.